(Garden City, NY) November 20, 2018. The 10th annual Long Island Volunteer Fair will be held at Nassau Community College from 10 am to 4pm, Tuesday, November 20, 2018. Over 40 nonprofit agencies will be staffing exhibits in the College Center Building (CCB) Multi-purpose Room to recruit students, faculty, and community members for a wide array of volunteer positions. Opportunities include working with animals, youth or seniors, and helping at museums, soup kitchens, shelters, or health care facilities. Volunteers are also needed to join an emergency preparedness group, become an advocate for special needs, or protect the environment. Anyone, regardless of age, location, or resources, can accomplish amazing things when they take on the problems they see in their community. The 10th annual Long Island Volunteer Fair will be held at Nassau Community College from 10 am to 4pm, Tuesday, November 20, 2018. Photo Credit: rawpixel. Organized by Nassau Community College and the Association of Professional Volunteer Administrators, the fair provides a one-stop venue for attendees to connect to community needs, grow professional skill-sets, and pursue personal goals by giving back. NCC President, Dr. W. Hubert Keen, will kick off the event that will include a volunteer recognition. The NCC Mascot, Leo the Lion, will also be making an appearance to cheer on volunteerism. NCC nursing students will be on hand checking blood pressures, and abook drive to benefit The Book Fairies will be held and a food drive to benefit the NCC Food Pantryfor students, The Nest (Nassau Empowerment and Support for Tomorrow),is specifically calling for the following items: macaroni & cheese, pasta, rice, ramen cup of noodles, soups (other than tomato), canned meat, snacks, cereal, canned corn, canned fruit, peanut butter, jelly, bread, and diapers. Now, more than ever, it is time for Long Island to reinvest in its future. 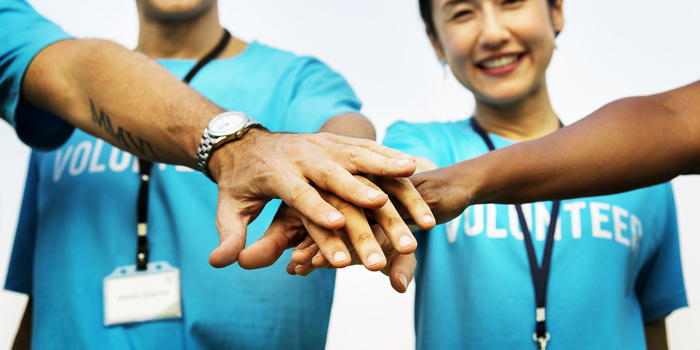 According to the Corporation for National and Community Service, Volunteering in America 2017 report, New York ranked third to last in the nation for volunteer participation rates. The Governor’s Commission on National and Community Service has made volunteerism a high priority issue. The upcoming 10th annual Long Island Volunteer Fair is one of the regional strategies in response to the state call to action. A collaborative effort with Nassau Community College, the fair supports the SUNY applied learning initiative to increase community service and opportunities for service learningand internships. Fair event timing, the Tuesday of Thanksgiving week, not only helps launch holiday giving but also meets the desire to pay it forward when people’s awareness of the needs of others is especially heightened. The fair will provide an opportunity for individuals and groups to find the right fit for meaningful volunteer engagement to help solve serious community issues. There is no charge to attend the fair and parking permits will be waived on fair day. Contact NCC’s Dr. Evangeline Manjares, Dean, Academic and Student Services, Applied Learning/Civic Engagement and Military/Veterans Affairs, at(516) 572-9775 ext. 24940, emaillongislandvolunteerfair@gmail.com, or visit www.apvali.org. Media Inquiries: APVA Board Co-President–Judy Pockriss at 516-572-8416. Established in 1996 to meet the needs of Volunteer Administrators, the APVA continues to promote professionalism and strengthen leadership in the field of volunteer administration.Our members include volunteer program administrators from a wide variety of settings on Long Island in both Nassau and Suffolk Counties.Our mission is to be a supportive organization, providing tools for the professional growth of volunteer managers and to be a resource for volunteerism and volunteer administrators. http://www.apvali.org, PO Box 1475 North Massapequa NY 11758, info@apvali.org.